Pull into the parking lot of Jalisco’s Mexican Restaurant and the first thing you hear is the falls of the city, a steady crash of water over lava rocks. For me, it is relaxing. I love the sound of the river. I will never tire of it. It’s constant. Unchanging. Therefore, this restaurant is in the perfect spot, nestled on the Westbank next to the Broadway Bridge. Before lunch, I plopped down on this fashionable potato seat across the street. 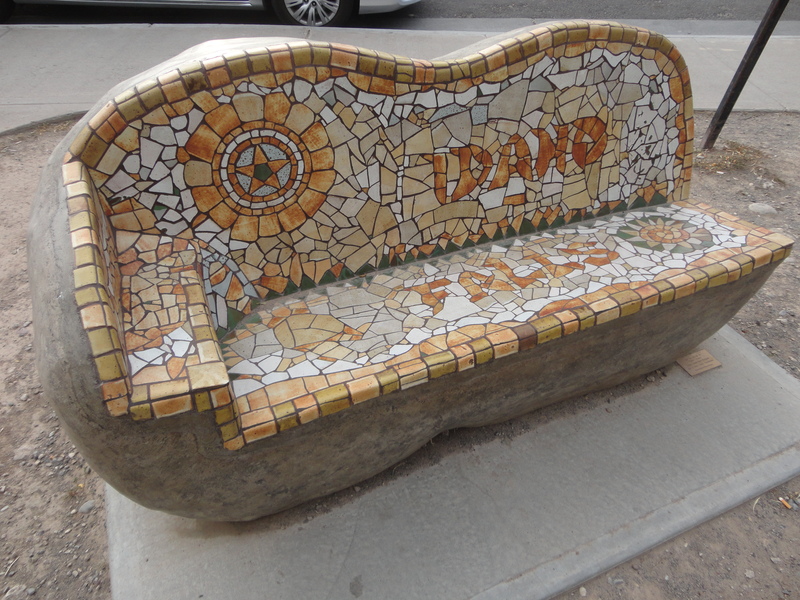 The bench is a part of the greater Greenbelt benches project, which is responsible for placing unique art on both sides of the Snake. Relaxing there, my wife and I enjoyed the view. Not bad, eh? Yet the longer we sat, the hungrier we got, especially when you are sitting in a potato. So we got up and crossed the street toward the restaurant. Opening the door, we instantly found ourselves in a little Mexico of festive music, bright orange walls, and live plants growing in every direction—kudos to the staff workers with the green thumb. After being seated in a side booth, a quiet Hispanic lady with a warm smile brought to us a basket of hot tortilla chips with bean and salsa dip. I must confess that every time I eat at Jalisco’s, I usually go through about two baskets full. I have tried in the past, I really have, but I simply can’t resist the chips. 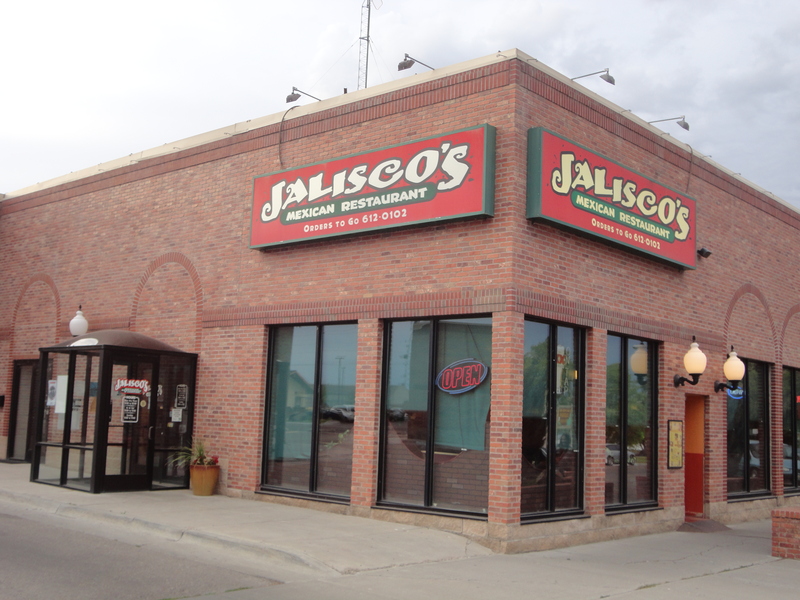 The Jaliscos at River Parkway is usually a longer wait for food than on 17th Street. Perhaps that is why I eat so many chips. The food is standard Mexican food, a little more Americanized than what you would find at a place like the incredible budget deal of Morenitas, and yet perhaps a little safer on the tummy than what you might digest at a local taco wagon. Bathroom break: Plaster is coming off the walls in the tiny hallway. Men’s urinals have broken drains that look like they are seeking to escape. And somehow, I did manage to unravel the paper jammed up in the hand dispenser. But all was well once I stepped back out into the open restaurant. Our server, Marbella, was superb. And I tip my hat to Huberto and Rhonda Ponce. Their business is growing. 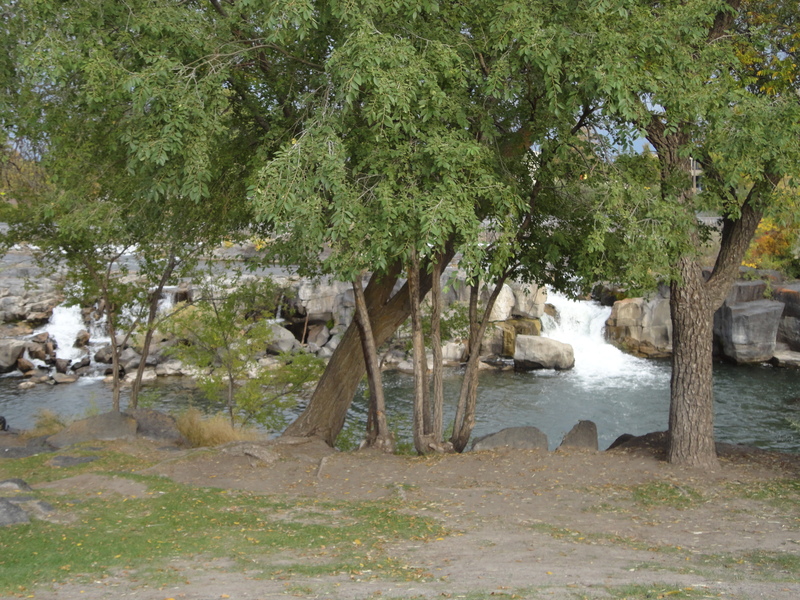 It think it’s great because I love the Hispanic culture in Idaho Falls. 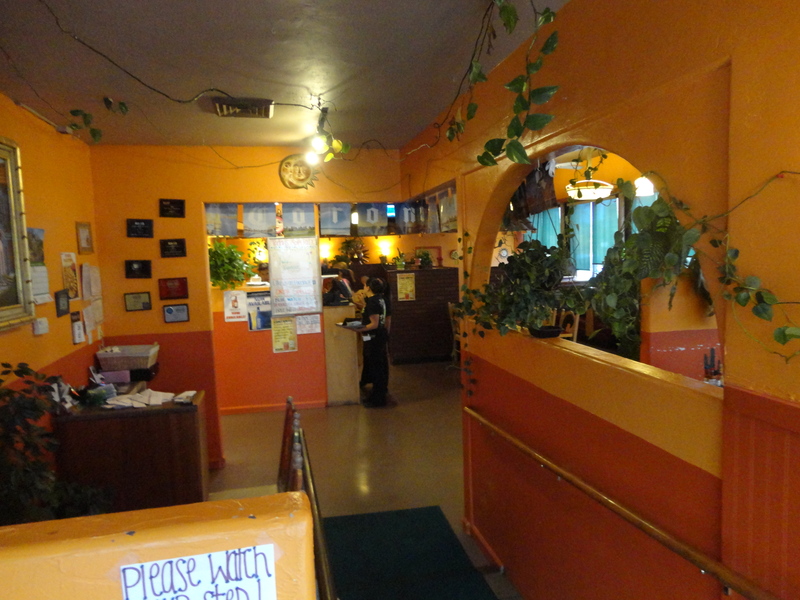 This entry was posted in restaurant reviews, reviews and tagged Jalisco's, Mexican food. Bookmark the permalink.